Based on the definition of ‘motor vehicle action’, most pilots charged with OVI in Ohio cannot wait until a conviction to report to the FAA. If the pilot refuses a chemical test for alcohol/drugs or submits and tests ‘over the limit’, the pilot will be subjected to an Administrative License Suspension (ALS). As that suspension is related to DUI / OVI, it is a ‘motor vehicle action’ and must be reported to the FAA. According to FAR 61.15, there are time limits for reporting and also a requirement of reporting each separate ‘motor vehicle action’. Failure to report a motor vehicle action accurately and timely will result in sanctions. A pilot must have a current medical certificate. Depending on the type of certificate the pilot holds, the certificate must be renewed every six months, every year, or every two years. To obtain or renew a medical certificate, the pilot must complete an ‘Airman Medical Application. The FAA will know about events which trigger reporting requirements. 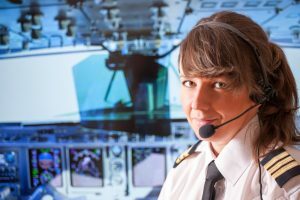 When a pilot signs the medical application, the pilot authorizes the FAA to obtain the pilot’s driving record from the National Driver Register. Falsifying a medical application will lead to sanctions. The pilot will also likely have reporting requirements and potential discipline with her employer. Accordingly, the pilot should consult employment contracts, employee handbooks, and collective bargaining agreements to address the employer issues. While this article addresses the FAA requirements, the pilot also must defend against the OVI charges in court. For a pilot charged with DUI / OVI in Ohio, navigating the court system and the federal regulations can be tricky maneuvers. To avoid a crash landing, the pilot needs to effectively defend against the DUI/OVI and fully comply with FAA requirements. The pilot should hire a lawyer with expertise in Ohio DUI / OVI defense and a grasp of the special requirements for an ‘airman’ facing DUI / OVI accusations.